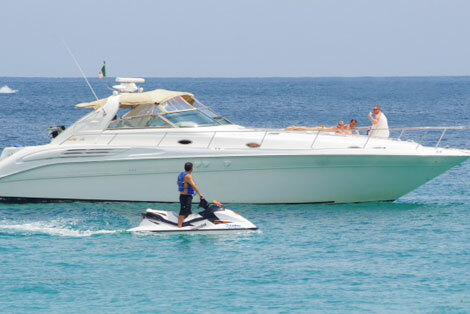 Escape into our luxury yacht to enjoy our lovely seascapes! Discover the marvelous Sea of Cortez and the Pacific Ocean; incredible sightseeing, aboard one of the most luxurious boat all over Cabo. The Paradisus crew invites you to enjoy a relaxing and intimate experience for 2 or more people; or if you feel in the mood of having a blast of fun with your party we can hold up to 12 people. Any atmosphere of your choice would be a luxurious and unique experience aboard the Paradisus. Our crew priority is to make your experience unforgettable trough friendly, accommodative and personalized service. Marina Blvd. W/N Site 1-2, 1-3 Downtown, Zip Code 23410, Cabo San Lucas, Baja California Sur, Mexico. © Copyright 2019 OCEANUS Baja Caribe, S.A. de C.V.